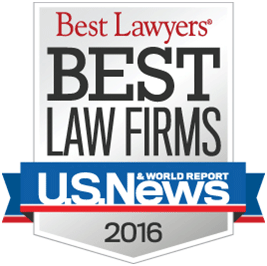 We are pleased to announce that for the fourth year in a row U.S. News & World Report and Best Lawyers® has recognized the attorneys of Lafferty, Gallagher & Scott, LLC as a first-tier Best Law Firmfor plaintiff’s personal injury litigation in the Greater Toledo, Ohio area in their 2016 rankings. We spend every day working hard for injured victims and ensuring that they get the fair representation that they deserve. Though we certainly do not do our job for accolades and awards, we are truly honored to be recognized with this distinction. 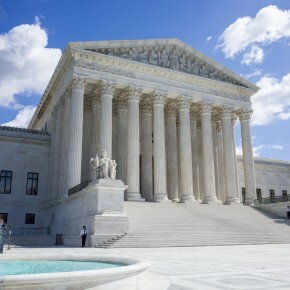 If you or a loved one has been injured or died in a motor vehicle accident, motorcycle accident, semi-truck/tractor trailer accident, or due to a slip and fall or negligent medical care, the attorneys of Lafferty Gallagher & Scott, LLC are competent and prepared to help you through your difficult times, with our 42+ years of experience as attorneys representing only injured people. 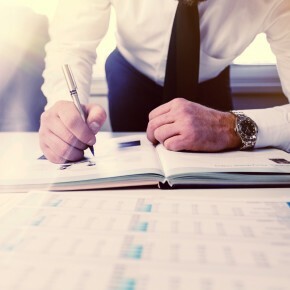 We are committed to our clients, and put forth our best efforts for each and every one of our clients to help them get fair compensation they are entitled to. Click here for sampling of the recent results we have achieved for our clients. If you or a loved one has been injured due to the negligence of another, and would like a first-tier Best Law Firm to represent you, please feel free to contact us at any time. We are available by telephone Monday through Friday, 8:30 AM to 5:00 PM, and can be reached 24 hours a day through the “Contact Us” tab found on our website. We look forward to speaking with you. Best Lawyers is the oldest and most respected peer-review publication in the legal profession. For over thirty years, the company has helped lawyers and clients find legal counsel in distant jurisdictions or unfamiliar specialties. The 2016 edition of The Best Lawyers in America includes 55,041 lawyers covering all 50 states and the District of Columbia and is based on more than 6.7 million detailed evaluations of lawyers by other lawyers. Best Lawyers also publishes peer-reviewed listings of lawyers in nearly 70 other countries, covering many of the world’s major legal markets. Best Lawyers lists are excerpted in a wide range of general interest, business and legal publications worldwide, reaching an audience of more than 17 million readers.